On March 15th Escot Bus Lines was awarded the Luxury Coach and Transportation Motorcoach Operator of the Year. Accepting the award on behalf of Escot Bus Lines was Brian Tanner, our Chief Operating Officer. Escot Bus Lines was chosen for its modern fleet, quality service and extensive experience within the motorcoach industry. I think that our people are still our best competitive advantage." Escot Bus Lines helps get groups across Central Florida get to the AWESOME everyday! Whether you're a tour operator, school, event or organization we'll help your group get where you're going. We're honored to be recognized for the hard work our employees put in everyday. COO Brian Tanner accepting the award in Las Vegas, Nevada on behalf of Escot Bus Lines.  Need charter bus service in the Tampa or Orlando area? Get in touch with our sales team to receive a charter bus quote today!